We have an organic apple tree in our backyard that provides us with a bounty of fresh fruit ideal for home baking. It insures that I am always cooking up something fruity. Today I am sharing my apple crumble cake recipe and it is indeed a nutritious and delicious treat. Baking with fruit adds that little extra touch of healthy to a dessert. 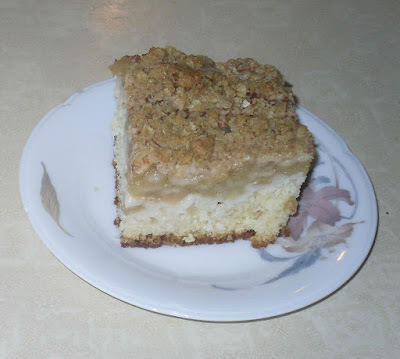 My tasty apple crumb cake is one of my husbands favorite recipes. It is fluffy soft on the bottom with a burst of flavor on top. Apples can be crisp, tarty, or sweet, and they taste like a tiny drop of pure heaven when they are baked up into a dessert. 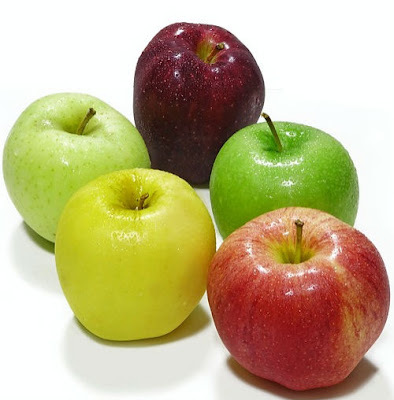 One of the best aspects of an apple is its taste but apples are also one of nature's most nutritious foods. They are rich in antioxidants, flavonoids, and fiber. They are food that is good for you. Much of an apple's nutrition is found in or just under the skin and this leaves one to wonder if peeling apples for baking is something we should be doing. If you have apples then you have the makings for a dessert that is ideal for virtually any occasion. Apple sauce is perfect for popping on top of porridge in the morning, for serving up with a meal, or as a healthy after school snack or after meal dessert. It also goes great when served as a topping sauce for pork chops or roast. Apple sauce is an old country recipe that remains popular today. With a hint of cinnamon this dessert is creamy, sweet, and a wonderfully nutritious treat. It only takes a minute to warm up in the microwave. and the warmed applesauce with a dab of ice cream in the middle is a delicious treat that even kids will eat. Our apple tree is organic and supplies us with a rich harvest of apples. For those who love their applesauce, apple pie, or apple crisp, I cannot say enough good things about having an apple peeler on hand to help out with the job.